What is the purpose of the fully adjustable saddle? 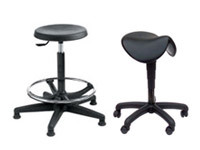 The fully adjustable saddle stool is perfect for technical and work spaces where posture and comfort are a priority. Some users may suffer from spinal disorders or injuries. Others may just prefer the “posturally correct” position they naturally assume when seated in the adjustable saddle stool. The design of this chair gently moves the user’s pelvis and spine into alignment. This allows better comfort and longer service than might be possible in a chair that makes slouching more common. Sitting in this chair even gradually strengthens the spine! The chrome center post and base not only look great, they are extremely strong and durable. High impact plastic coasters allow effortless movement and quick direction change. 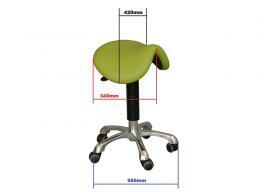 Height of the stool can be easily adjusted by a lever at the back. 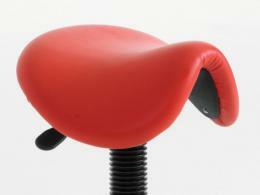 The polyurethane seat cover looks great and resists stains and scratches. It can easily be wiped clean, scrubbed with warm soapy water or even steam-cleaned for heavy staining. The adjustable saddle stool comes in an explosion of colours: beige, black, blue, dark blue, lilac, mint green, lime green, pale blue, pink, red and white. 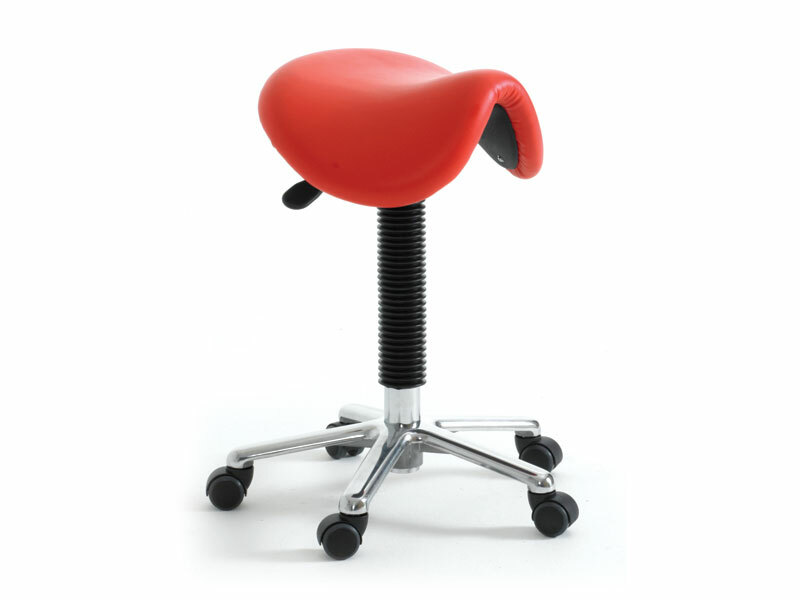 This saddle stool is not only great for posture and highly durable and well-built, it also looks great. The saddle stool is perfect for high-style working environments like hair salons, cosmeticians, dental offices, opticians and other fashion-oriented client service locations. The stool is also useful for more conventional technical and service shops – repair shops, cost estimators and adjustors, watch and jewelry repair shops and other facilities where technical workers remain seated for long periods, working on detailed projects that require a steady hand. Repairmen, cosmeticians, stylists and barbers, dentists, opticians, electronics fabricators, and architects.